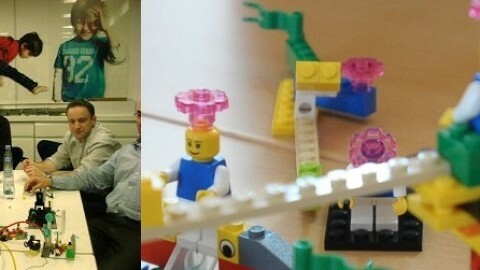 Over the last few weeks, I have been partaking in a series of LEGO Serious Play rapid prototyping design challenges at the Research Institute for the Finnish Economy. The focus was to conceptualize, visualize and manipulate a new approach to designing blended asset investment vehicles. The prototyping application is tied to a 2.5 year project on ‘Financial Innovation for Industrial Renewal‘, financed by the Finnish Funding Agency for Innovation (Tekes). The project involves partners from industry centers of excellence, economic development groups and equity investors, with an advisory board that includes European Investment Fund (EIF) and P80 (pension fund) Foundation managers. Our rapid prototyping design team was comprised of equity research analysts, investors, economists, management scientists, industry practitioners, and academics in entrepreneurship. The 4-week process design, comprised of individual builds and challenges, and culminating in team builds, was laid out and facilitated by Sven Adriaens, a high school senior from Pinckney, Michigan (US), an intern seeking to advance his educational interests in design sciences. Industrial renewal has become a widely used concept at the highest levels of economic policy in the US and Europe. It involves the repositioning of industries, by leveraging and realigning value systems, while integrating innovative companies to ‘turn the ship’. Given the requirement for considerable capital infusions, the European Commission is restructuring fiduciary requirements for pension funds to drive engagement in potentially riskier investment vehicles. The overall core challenge of the project was how to organize, select and visually represent companies that become part of blended asset investment portfolios comprised of: an index (public), a bundled loan product (SMEs), and equity investment (startups and growth companies) placements. How would such a portfolio be structured and administered? When is a company or a portfolio investable? What are the risks? The new portfolio investment vehicles are targeted at institutional investors such as pension funds and insurance companies, as well as family offices, thus impacting the risk:return profiles of the product. The spirited discussions around this topic exposed the tension between economists, management scientists and investors, and centered on the (types of) data used for decision-making, and the fundamental (theoretical or case-based) underpinnings that guide the investor and company management team. 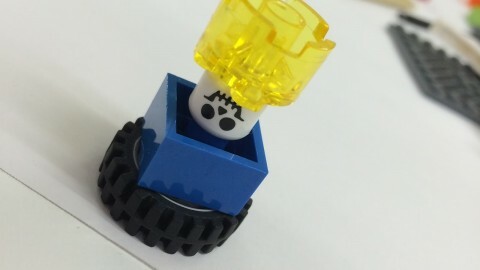 Visualizing an investment vehicle and business model with LEGO bricks opened up a query that continues to vex entrepreneurs and investors alike: What are key selection metrics for high value investable companies positioned to drive industrial innovation? If we consider the research in the field, salient ingredients for entrepreneurial success are often distilled down to: indomitable optimism and enthusiasm of the founder, a game-changing product, leveraging mega-trends or policies, mixed in a cocktail of product and/or market pivots. These ‘potentially observable management inputs and management characteristics’ are, however, insufficient to explain why one venture succeeds and the other fails. Potential, because, for example, recent HBR research showed that companies built by serial entrepreneurs aren’t any more likely to succeed – even if investors consider the ability of past experience in their equity-taking decisions. The residual variables of success are not observable: skill, luck and timing. There is a significant parallel between these uncertainties, and how economists ascribe differences in company productivity to allocation efficiencies of resources such as capital and labor. The difference is that in microeconomics there are elegant theories that explain how inputs (of mature firms) relate to outputs, presuming that allocation is optimal and aimed at profit maximization. Yet, after accounting for all measurable inputs, often more than 90% of company productivity variability between companies is captured in a ‘multi-factor productivity variable’, which cannot be measured. It is often explained as a measure of technological change in the industry that contributes to the allocation efficiency. Because it is not observable, it can’t be explicitly considered. Economic theory is data-driven, yet the magnitude of the unobservable residual is similar to that which explains entrepreneurial success. In entrepreneurship there is no theoretical underpinning for success – rather our knowledge is based on case studies. Since measures of success derived from cases are difficult to abstract and made generalizable, the development of theories is notoriously challenging. Going back to the Serious LEGO design challenge then, how do we make portfolio resource allocation and investment decisions for individual companies in the face of unobservable factors for success and productivity? 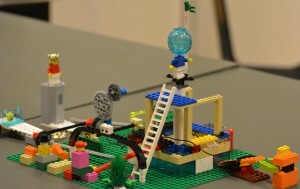 This series of blogs covers the context of the LEGO Serious Play portfolio design aspects, both at the strategic level of industrial renewal and tactical or operational level describing the analytical engines driving the project. The angles on this problem will represent the expertise and background of the participants, and culminate in a description of the final team build product design. The educational aspects will be addressed from two perspectives. 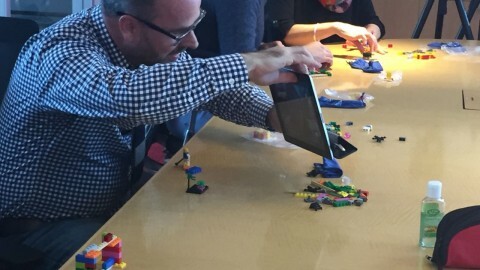 From the student-facilitator’s angle: How can LEGO bricks be used to help the uninitiated teach finance and business models? 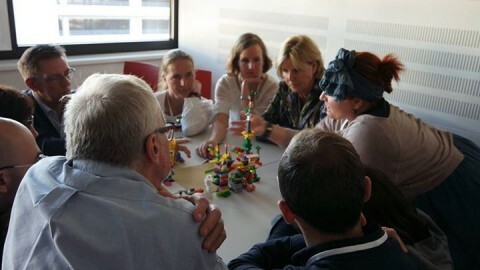 From the professional participants’ angle – How do LEGO bricks help in the design of new investment vehicles and their management structure? Finnish Distinguished Professor, Research Institute for the Finnish Economy (2014-2016), Helsinki, Finland.